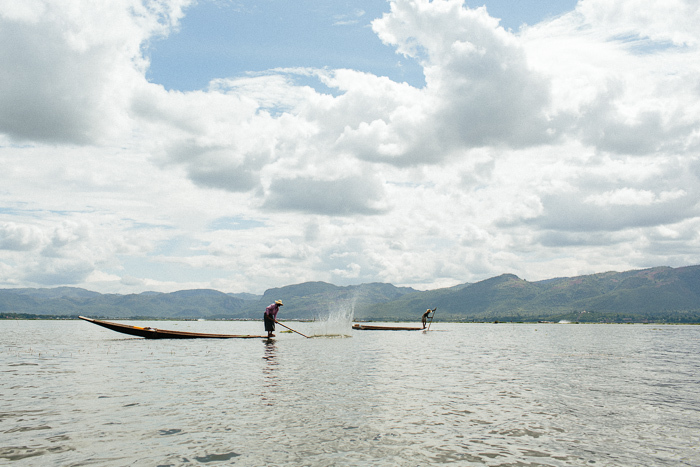 Inle Lake was the respite we were desperately needing. We stayed at an exceptionally charming and quaint bed and breakfast called Hotel Brilliant... which was perfectly named to follow our stay at the "Amazing Bagan Resort". Ha! All jokes aside, from the moment we stepped our feet in the reception, we were greeted with nothing but genuine kindness and friendly faces! Not only did Inle Lake provide exceptional hospitality, but it also provided us with our favorite eating experience in all of Myanmar: Pwe Taw Win Restaurant. We sat in a little hut there amongst the garden in which they grow all of their vegetables and chatted with a spunky and cheerful waitress. She brought us tasty steamed rice wrapped in two giant lotus leaves, as well as a fantastic chicken dish and a fresh and delicious green tomato salad. Yum! Taking the tour via boat of the lake and the encompassing villages was absolutely unforgettable. Those fisherman who throw nets while balancing on one leg and paddling with the other are unreal! 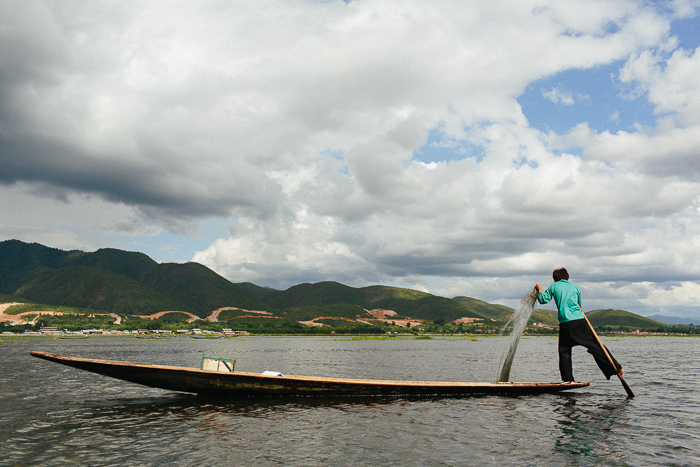 All in all, I can highly recommend a visit to Inle Lake if you are in or around Myanmar. It was especially nice to be there in low season when hotels are largely discounted, the conveyor belt of tourism is running a bit slower, and you can have a more personal experience in this delightful little town.